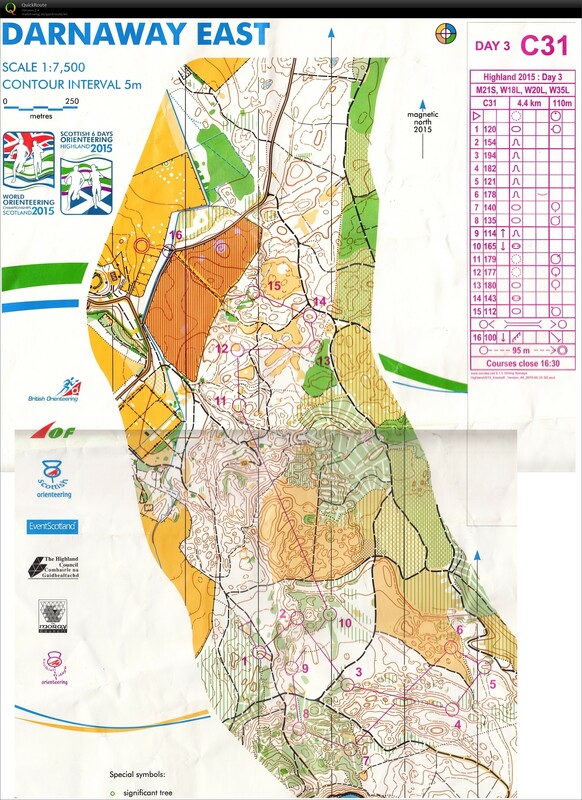 WOC middle distance area. Nice area and nice course but wrong scale (1:7500). So distance and the look of highcurves were always wrong and lead me to big problems. Why couldn´t organiser use the scales ISOM speficies and I train? Due to my late start time I miss most of the WOC womens ralay.